A step up from the traditional tear drop wedding earrings, these one’s have a halo of sparkles surrounding the crystal feature. 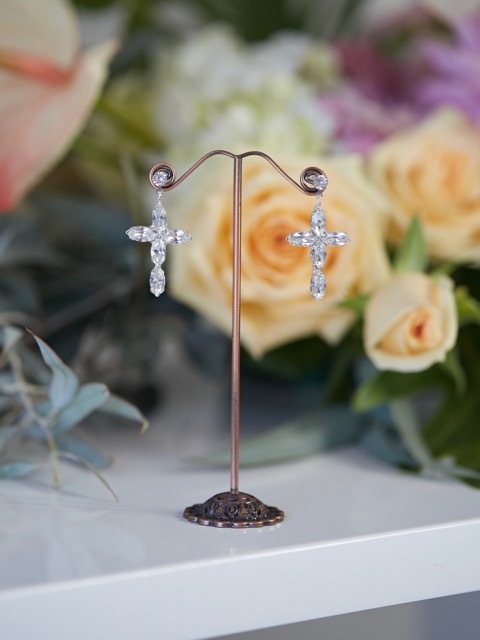 Add some extra sparkle to your day with these unique silver drop wedding earrings, designed and made by Hello Lovers Australia. 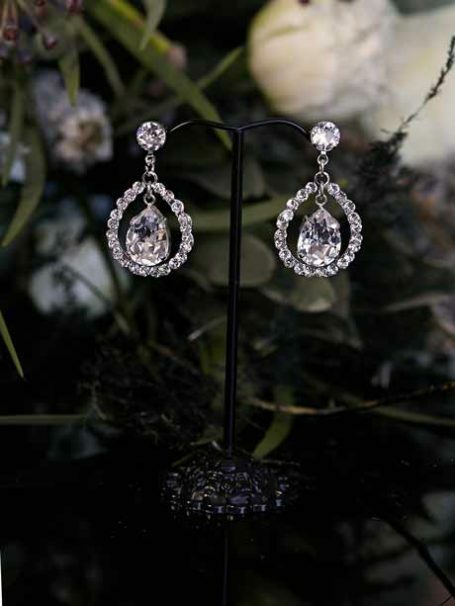 Beautiful clear cut stones that glisten every time they move. Just a nice length for hair up or a half up half down wedding hair style. 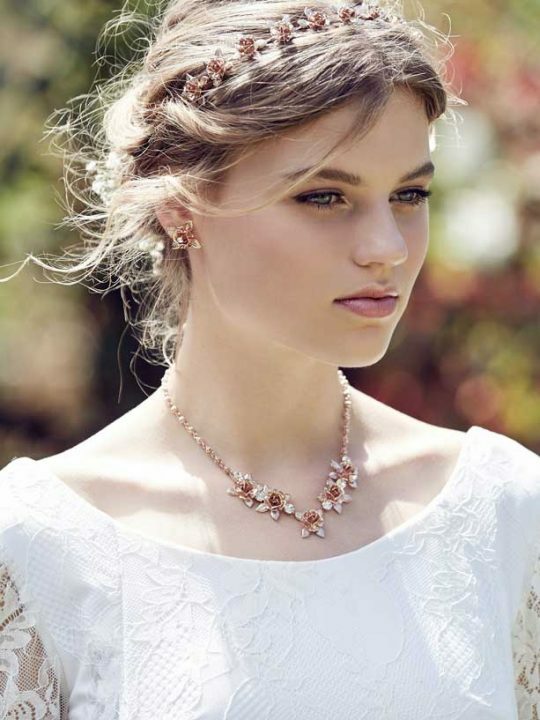 Wedding jewellery designed to be light weight and easy to wear. All our tear drop wedding earrings come in our signature pink Hello Lovers box. Match with our Aura hair vine or if you are looking for a simpler version of earrings look at our bling earrings.